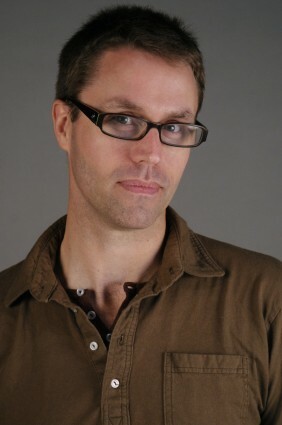 Born in San Francisco, California, Deke Sharon has been performing professionally since the age of 8. As the founder, director and arranger for the House Jacks, the original "Rock Band Without Instruments," Deke has shared the stage with countless music legends, including Ray Charles, James Brown, Crosby Stills and Nash, Run DMC, The Temptations, LL Cool J and the Four Tops, and performed for luminaries including President Bill Clinton. Deke produces "The Sing-Off" worldwide (USA, Netherlands, China), which had the highest ratings of any new, unscripted television show in the US in 2009, and was the third highest rated show on NBC in 2010. In addition, Deke served as arranger, on-site music director and vocal producer for Universal's "Pitch Perfect" starring Anna Kendrick (2012). Deke founded the Contemporary A Cappella Society while in college, and is responsible for many seminal a cappella programs, including the CARAs (Contemporary A Cappella Recording Awards), ICCAs (International Championship of College A Cappella), BOCA (Best of College A Cappella Compilation), the first contemporary a cappella conferences (the A Cappella Summit), the new Contemporary A Cappella League, and the YouTube channel " Inside A Cappella ". He has arranged over 2,000 songs, many of them in print worldwide with Hal Leonard/Contemporary A Cappella Publishing. His first book, "A cappella Arranging" was published in 2012. "I feel a bit uncomfortable writing about which of my arrangements are "hot," but as an American I find any opportunity for self promotion impossibly enticing. Considering the global success of Pitch Perfect, any list of my currently popular arrangements would probably have to start with my published arrangement of the Bellas' Finale from the film, a mashup including Jessie J's Price Tag, Simple Mind's Don't You Forget About Me and Pitbull's (Give Me Everything) Tonight. This published chart differs only slightly from the version in the film, as although it was necessary to distill the 9 sung parts in the movie down to a more reasonably accessible 4 parts (plus solo and vocal percussion), only a trained ear will notice the lack of doubled chord factors and other overlapping elements. I've published several arrangements from the movie, both through Hal Leonard and Contemporary A Cappella Publishing, but this one is my favorite as it's the culmination of the movie's musical and romantic threads while showing that a female a cappella group is every bit as powerful as their male counterparts. So as to not completely disregard my male friends, I should also mention a TTBB arrangement I've just published (through Hal Leonard) of the beautiful classic Great American Songbook ballad If I Loved You from Rodgers and Hammerstein's Carousel. I was asked to produce a show for the San Francisco Gay Men's Chorus, America's first and largest choir of its type, and arranged this song for them amidst many fun and humorous songs, to show their more serious and emotionally powerful side. And finally, in fairness, I should mention a mixed arrangement, and for that I'd probably have to draw upon one of the opening numbers I've done for the Sing Off. Several have been published, but my favorite remains Use Somebody from Season 2 of the Sing Off US, and Season 1 of the Sing Off Holland. The radio hit was never my favorite song, but when asked to arrange it as an opening number for the show, I found its message of interconnectedness absolutely perfect for a performance in which the lead vocal would be passed from one individual to another. Of course, as soon as this is posted I'll almost certainly have different favorites, but I guess that's the prerogative of a fickle musician."